Never worry about dog hair or leftover lint, no matter where you go. This compact and effective tool provides the perfect way to remove unwanted debris from clothing and other surfaces in a flash. It's made from natural rubber so it will never lose shape, wear out, or become ineffective, and when used correctly, it will build a static charge to ease removal and speed up the process. It's a double sided brush and each side has two different types of bristles, so with the four options combined you'll be able to pull any tiny particle from any type of material. Just brush in a single direction, using short strokes, and every spec of lint and hair will begin to collect and pile as they are removed from the surface. Use it on shirts, jackets, comforters, blankets, furniture, drapes, upholstery and more. Wherever fuzz and fluff settle, this tool will be highly effective and totally safe to use. Thanks to the integrated loop it truly becomes travel-worthy as it is easily attaches to keychains, purses, luggage and other items. Keep it tucked away almost anywhere, and look your best when you're on the go. It doesn't require any special tape or refills, and it's ability to clean will never run out. With an affordable price tag, and a wide variety of uses, this tool is perfect for every homeowner, vacationer, pet lover, and traveling professional alike. 100% Rubber - Made from a solid piece of molded, natural rubber this tool is virtually indestructible, it will never wear out, it never requires a refill, and you never have to worry about broken, bent or damaged pieces. Portable - The compact sizing and integrated loop make it easy to take with you anywhere. Slip it in your pocket, glove box, or purse, and easily hang it from key rings, luggage and more. It can be easily accessible, whenever you need it, and no matter where you are. Static Cling - As you rub it across surfaces, the natural material will build a static charge to improve results, and make the job easier. The slight charge will help to pull hair and fuzz off of the material you are cleaning, prevent it from flying away, and also collect it quickly. Highly Effective - A quick brush is all it takes to completely remove every spec of unwanted pet hair and lint. Reusable - Unlike disposable rollers and other tools, this one never wears out, or requires any additional purchase. It will continue to work for years of regular use, and you can even wash it if it gets dirty over time. Versatile - With four different surface types, you'll be able to collect every spec of debris with very little effort. 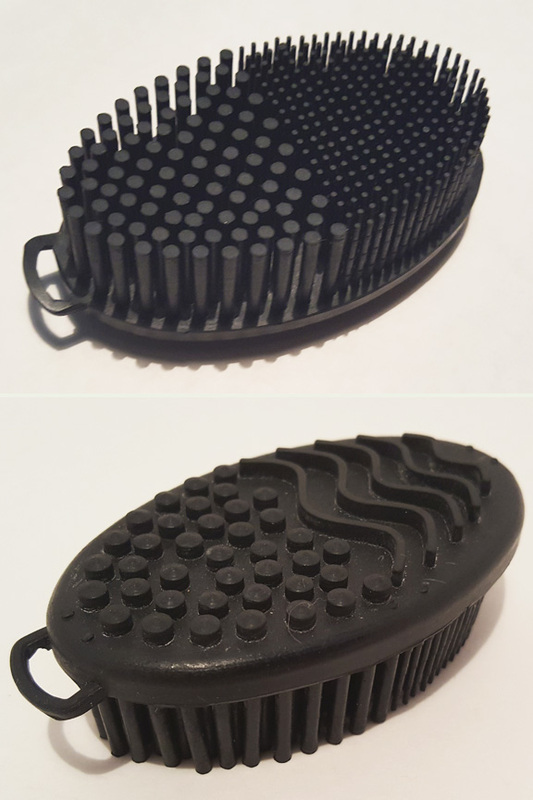 Certain items will respond better to one of the four bristle types, but with the option of using them all, no tiny fluff or microscopic hair will remain. Easy-To-Use - Just brush across the surface to use it, and quickly collect any light debris on a variety of surfaces. Shorter strokes will build a stronger charge, so effectiveness will improve with some skill, but anyone can easily remove lint and fur using this tool. Compatible - Useful for a wide variety of surfaces, you can remove dog hair from clothing, lint from upholstery, dust and other debris from drapery and so much more. It will not harm any material, and it's highly effective on almost any surface type. 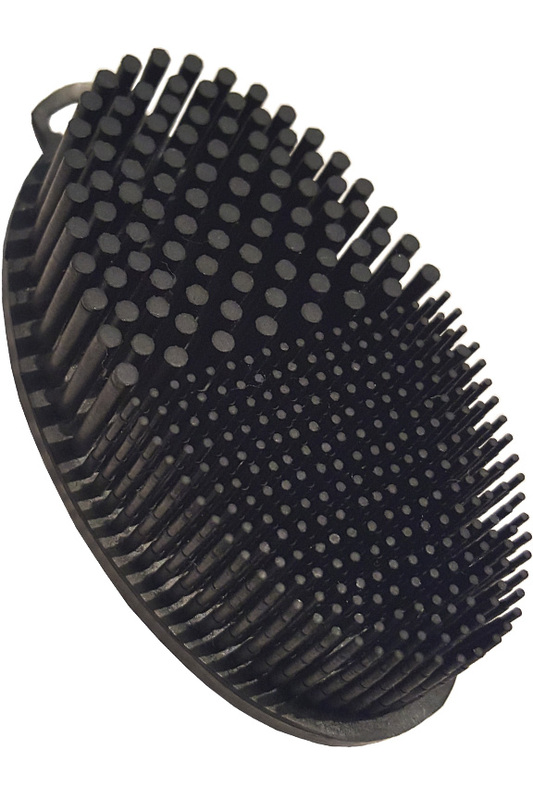 Versatile - More than just a lint and fur remover, this little brush can also be used for scrubbing. Add some soap and water, then use the rubber bristles to gently scrub away stubborn debris on flooring, give your dog a bath, or remove bug splatters from your bumper. Fast - A quick and complete way to clean fabrics when time is at a premium, you can lift off and remove unwanted grime in a matter of seconds. Dimensions 3.5" x 2" x 1"
Uses Quickly lift and remove lint, hair, pet fur and other light debris. Works on clothing, upholstery, linens and almost any other surface. Integrated Ring Yes. Easily attach to key rings, purses, luggage and more. Washable Yes. Hand wash or dishwasher safe. Perfect for pet lovers, busy parents, and traveling professionals, this compact tool allows anyone to look their best, no mater where they go. 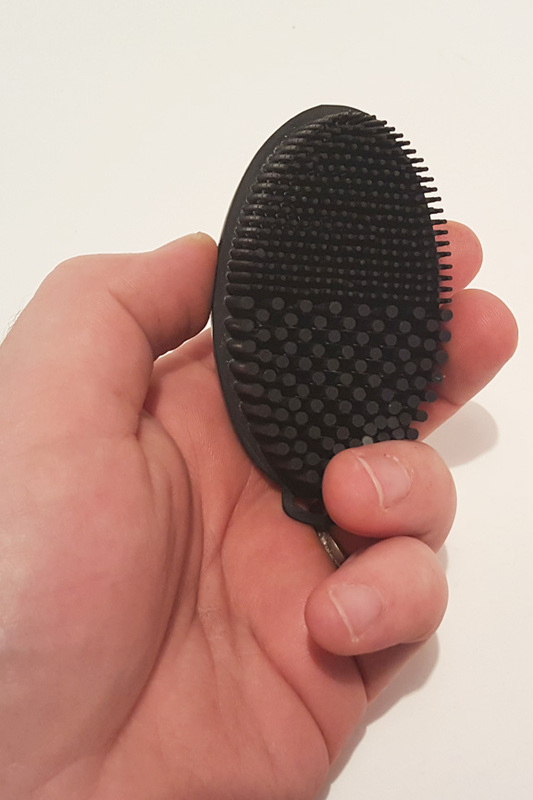 Quickly clean clothing and other surfaces with this travel brush. Order Yours Today!